The blu-ray set that I am reviewing today is the Arrow Video 3 Disc Limited Edition of Bride of Re-Animator. This set is now out of print (OOP). My review of the movie can be found here. 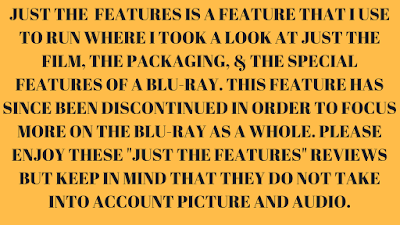 -Commentary #1- Brian Yuzna, Moderated by David Gregory. Yuzna does a lot of the speaking, but any time that he goes silent, Gregory pops in to ask a question and keeps the track lively. Yuzna talks about his inspirations for the movie and how scenes were accomplished. -Commentary #2- Brian Yuzna, Jeffrey Combs, Visual Effects Artists Tom Rainone, John Buechler, Mike Deak, Robert Kurztman, Howard Kurtzman, and Screaming Mad George. Yuzna and Combs are recorded together and most of the visual effects guys are recorded together. The jump between the different recordings is a little jarring at times, but the commentary is still fantastic. There are very few dead spots here. Lots of information and laughs. -Commentary #3- Jeffrey Combs and Bruce Abbott. These guys are having a lot of fun watching the movie. They talk to the screen, question their characters choices and motivations, and just have a good time watching the movie. Not much info is given, but one can enjoy the movie more after listening to this commentary. Brian Yuzna Remembers Bride (9m 37s) (HD) Yuzna talks about the history of Bride, including why Stuart Gordon did not come back to write and direct. He also gives us a brief glimpse at what filming was like. Splatter Movies (14m 39s) (HD) This featurette covers the stunning effects work done on Bride. -Robert Kurtzman of KNB talks about their role in the creation of the Bride and the zombie creatures. The Bride make-up is incredibly intricate and Kurtman gives us a rundown of how it was created. -Screaming Mad George talks about his involvement in Bride. He worked on the failed experiments that show up at the end of the film and some of his inspirations. His work is really bizarre and kind of doesn't fit in the movie. That is not to say that he did bad work. His work is amazing. -John Buechler worked on the Dr. Hill Head. The make up down on the Hill Head is really well done, but is the weakest of the movie. Buechler has done some amazing work in the past, but his work here is just not that great. I think it is because the Hill scenes were written in as an afterthought. -Tony Doublin work on the finger monster that West creates, in the film, using four fingers and an eyeball. The creature is impressive, as is the stop motion animation used to make it come alive. It is a shame that the creature doesn't have more screen time. He could have been the R2D2 of the movie. Here is a making of featurette that was shot during the making of Bride. It is a "fly on the wall" type featurette meaning that the camera is everywhere, capturing everything that is happening. There are no formal "talking head" interviews. Cast and crew are asked questions but it is done in a "here and now" type way. -Meg Re-Animated (8m 18s) (Scene is sourced from a VHS copy of the workprint and the BTS footage comes from the same source as all the other BTS footage.) Here we get to see Dr. Cain re-animate his girlfriend, Meg, from the original Re-Animator. The actress playing Meg is different (No Barbara Crampton.) and the scene is edited, but no post has been done. The scene is pretty bad. We do get some BTS footage of the scene being made. -Carnival Sequence (2m 3) (Sourced from a VHS copy of the workprint.) There isn't much here. This would have been an alternate opening to the film. The scene is a bunch of still images with commentary running over it. Behind the Scenes Reel (14m 30s) Culled from the same VHS, BTS footage as the stuff found on the Unrated disc, we get more of the effects being done and the fun that was going on on set. 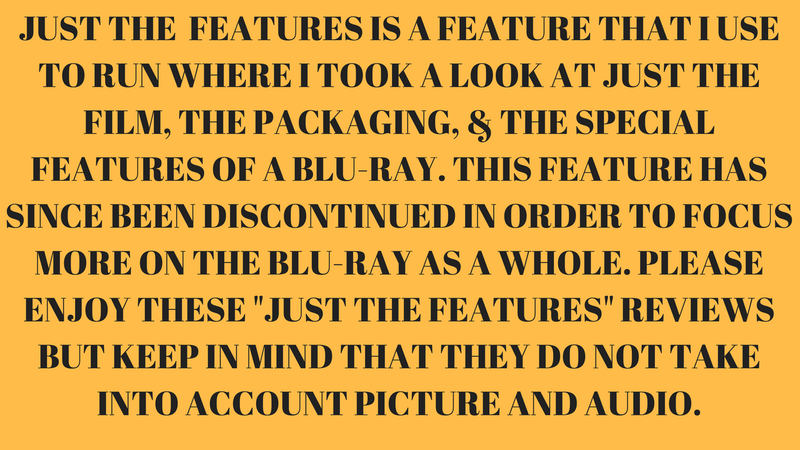 Everything from Unrated Blu-ray is found here, but in standard definition. This Limited Edition also comes in a fancy digipack, The slip box is a glossy black (that attracts fingerprints) with green embossing on the title and the pictures. Inside you will find a thick booklet that contains the prequel comic book Dawn of the Re-Animator that was released in March of 1992 and ran through June of 1992. The comic book looks nice. The comic itself is in black and white, with the only color found on the cover of each issue. Next you will find the digipack that houses the discs and another booklet. Opening the digipack you will find 3 discs (3 Blu-rays and 1 DVD) house in the center and to the right. On the left hand side you will find a booklet that includes an essay about the film entitled Here Comes the Bride, and is written by Michael Blyth. We also get information about the transfer. Arrow Video did a magnificent job with the special features and the packaging. The audio commentaries are excellent and the new and old featurettes work very nicely together. I love the behind the scenes footage that we get here as we don't normally have this much, if any. Arrow Video has gone above and beyond in terms of packaging. They knew that was a movie that horror fans desperately wanted (myself included) and they gave as an outstanding package. The box is nice and thick and gives the movie a special feel to it. I love that included the prequel comic book series and gave us both cuts of the film. Many people on various forums have complained about the packaging and the inclusion of the R-rated version of the film. They say that packaging is too bulky, with a comic that they will never read, and they will never watch the R-rated version because the Unrated version is the complete version. I can see their point, but it is always nice when a company goes that extra step and includes everything that they can. I might watch the R-rated version just to get a perspective on what audiences saw in the theaters. I may also read the comic book just to what happened before the original Re-Animator. Look at the pictures in this review and tell me that Arrow did not do an amazing job putting this package together. I love the packaging for Bride of Re-Animator. This release is one of my favorite releases of 2016.